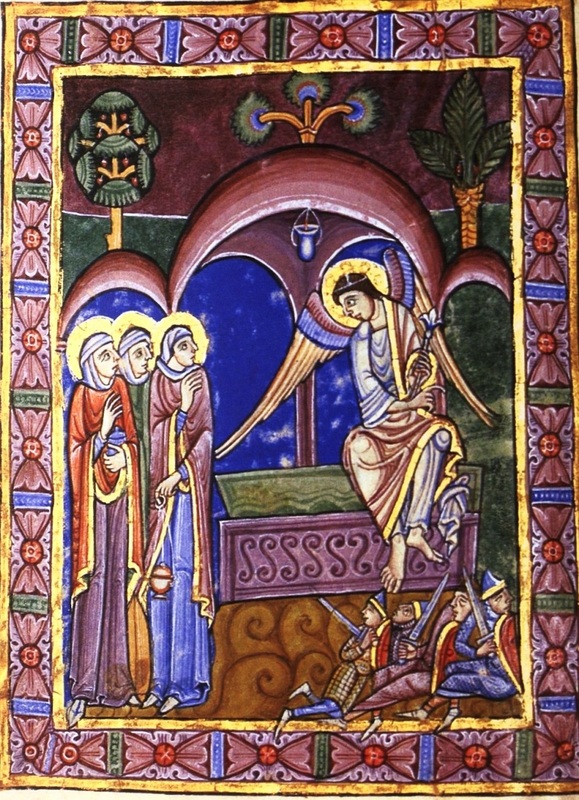 The St Albans Psalter, owned by St Godehard's Church, Hildesheim now at University of Aberdeen, Scotland Maries at the empty Tomb of Jesus. In Christianity, the tomb of Jesus was found to be empty by the women who had come to anoint his body with spices & by pouring oils over it. The empty tomb points to Jesus' resurrection, implicitly in the early Gospel of Mark & explicitly in the gospel narratives of Matthew, Luke & John. 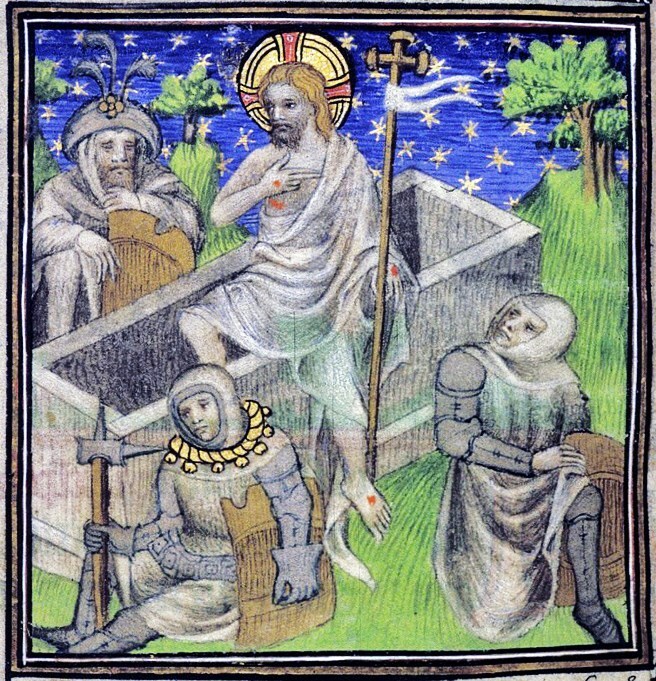 For some people of antiquity, empty tombs were seen as signs of the dead person bodily entering heaven. In Chariton’s ancient Greek novel Callirhoe, the hero Chaereas finds his wife’s tomb empty & immediately assumes the gods took her. In Ancient Greek thinking, there are numerous examples of individuals conspiring, before their deaths, to have their remains hidden in order to promote postmortem veneration. Arrian wrote of Alexander the Great planning his own bodily disappearance, so that he would be revered as a god. Disappearances of individuals to the divine realm also occur in Jewish literature, but do not involve an empty tomb. A site in Jerusalem now called The Garden Tomb was unearthed in 1867 & is considered by some Christians to be the site of the burial & resurrection of Jesus. The tomb has been dated by prominent Israeli archaeologist Gabriel Barkay to the 8–7C BC. However, the re-use of old tombs was common practice in ancient burial rituals. The Garden Tomb is adjacent to a rocky escarpment which since the mid-19C has been proposed by some scholars to be Golgotha. The traditional site where the death & resurrection of Christ are believed to have occurred has been the Church of the Holy Sepulchre at least since the 4C. Early on the first day of the week, while it was still dark, Mary Magdalene went to the tomb and saw that the stone had been removed from the entrance. So she came running to Simon Peter and the other disciple, the one Jesus loved, and said, "They have taken the Lord out of the tomb, and we don't know where they have put him!" So Peter and the other disciple started for the tomb. Both were running, but the other disciple outran Peter and reached the tomb first. He bent over and looked in at the strips of linen lying there but did not go in. 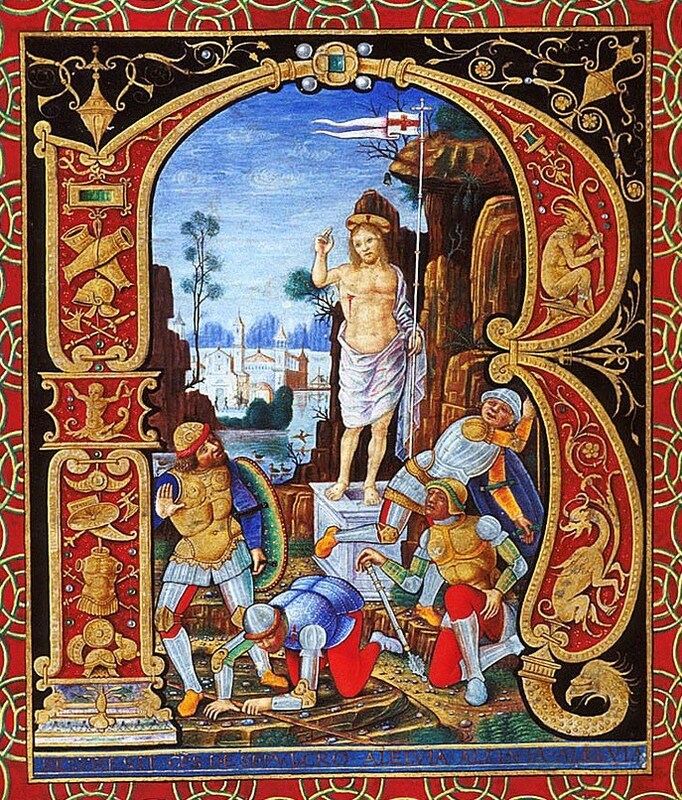 Then Simon Peter, who was behind him, arrived and went into the tomb. He saw the strips of linen lying there, as well as the burial cloth that had been around Jesus' head. The cloth was folded up by itself, separate from the linen. 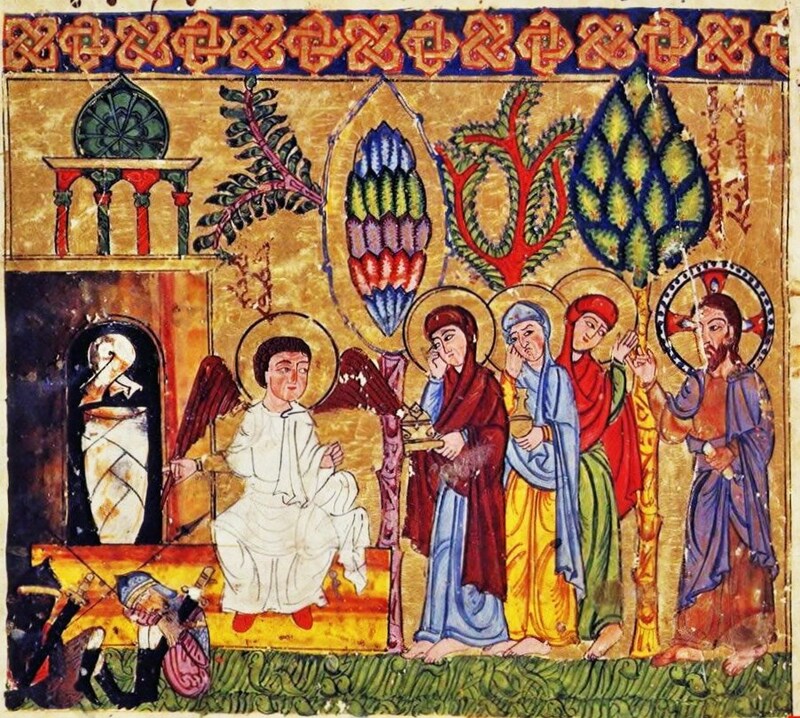 Finally the other disciple, who had reached the tomb first, also went inside. He saw and believed. (They still did not understand from Scripture that Jesus had to rise from the dead.) Then the disciples went back to their homes, but Mary stood outside the tomb crying. 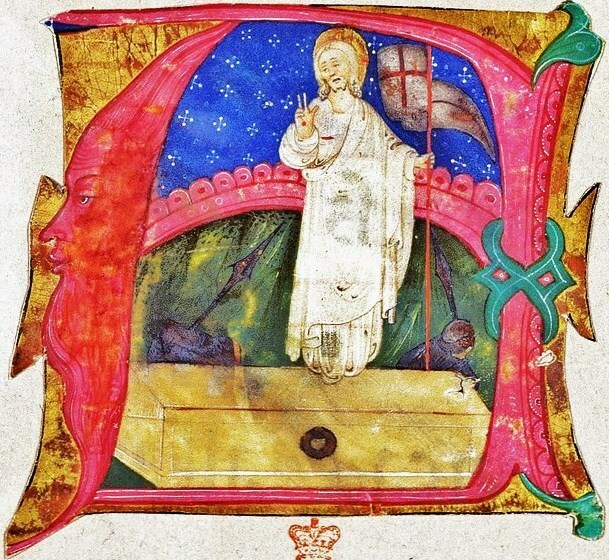 As she wept, she bent over to look into the tomb and saw two angels in white, seated where Jesus' body had been, one at the head and the other at the foot. They asked her, "Woman, why are you crying?" A site in Jerusalem called The Garden Tomb was unearthed in 1867 & is considered by some Christians to be the site of the burial & resurrection of Jesus. The tomb has been dated by prominent Israeli archaeologist Gabriel Barkay to the 8–7C BC. However, the re-use of old tombs was common practice in ancient burial rituals. The Garden Tomb is adjacent to a rocky escarpment which since the mid-19C has been proposed by some scholars to be Golgotha. The traditional site where the death & resurrection of Christ are believed to have occurred has been the Church of the Holy Sepulchre at least since the 4C.